The Juul, to use the parlance of the day has blown up to become the most recognized, best-selling e-cigarette of the current vaping era. Juul has entered into distribution agreements with major vendors like Krogers and Walmart around North America to ensure that there is always a Juul store nearby. Thus, the Juul spreads around the Internet and has also breached what used to be solely the domain of Big Tobacco: retail stores. Below you can find the locator to help you find the local vape store that should carry JUUL products. It’s also a good idea to call them prior to going there. But if you want to save some money, we recommend you to buy online directly from JUUL. We have an exclusive coupon below, that will save you $20 off your JUUL starter kit if you’re a new customer (and also offers free shipping). Vape shops all around the country carry the Juul, so there are always Juul pods nearby for anyone needing a quick jolt of the Juul’s patented nicotine salts. The Juul, however, has surpassed the bounds of being a novelty device found only in specialty retail shops and geared solely toward die-hard vaping enthusiasts. Major retailers like 7-11, gas stations like Shell, and convenience store giant Cumberland Farms all sell the Juul and Juul accessories, as varied as mango Juul pods or the entire Juul starter kit. Prices for the basic kit (no pods included) in retail stores varies widely. Walmart, for example, sells the basic device, with no pods and only a charger, for $41, which is a slight markup from the $35 price tag on the Juul website. The Juul starter kit, which comes with five flavor pods, sells for $50 online. 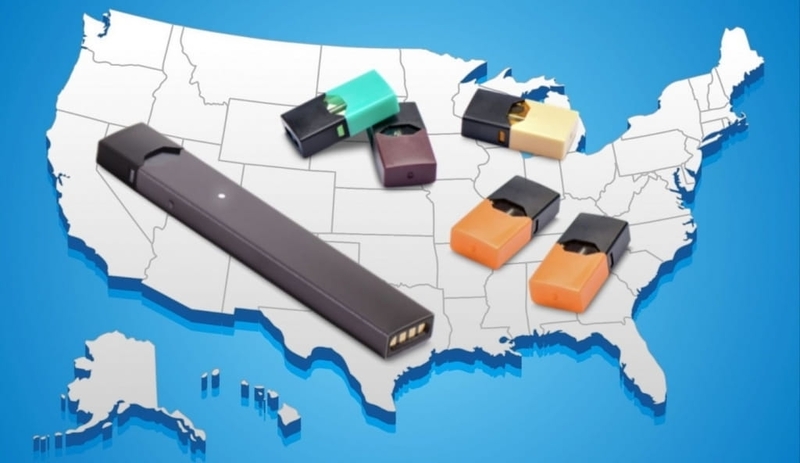 Brick-and-mortar Juul retailers near and in major cities like New York and Chicago sell the entire kit for the same price, with little variation between them. Online commentators on forums like Reddit have shared various examples of different prices and locations where the Juul is for sale. Ordering online might save a few dollars, but compared to the ease and convenience of buying from Juul dealers nearby it makes more sense to just go to the places that sell Juul starter kits nearby. Juul pods are also usually sold in the same places that sell Juuls. There are some price differences, however, when it comes to buying a four-pack of Juul cartridges near you. They typically go for the same price as on the official website, but with the added tax of buying it in a retail store, a four-pack of Juul pods can get as high as $26 or $27 in some places. Looking for where to buy Juul pods near you might end up costing more than buying them online, so the best bet would be to either buy online. Places that sell Juul pods near big cities, rural communities and everywhere in between, or any store that sells Juul products can be easily found using the new store locator tool. The store locator serves many purposes. The main aim is to prevent sales of counterfeit Juuls, so now customers can locate authorized resellers and partners just in one click. JUUL E-Cig Extreme Review: The Best E-Cig Ever? The Juul is now a popular tabloid topic that has become a touchstone where different issues like public health, tobacco control, the disruptive role of technology, government regulation and youth culture all intersect. It is hard to believe that such a physically small device could have such a disproportionately significant impact on society. Even though Pax Labs, the maker of the Juul, has taken comprehensive steps, like creating a special email account to report vendors violating the law and invested nearly $30 million in fighting underage Juul use, the company still faces an uphill battle to improve Juuls’ reputation. How can I buy starter kit with discount & free shipping on line?